Working with Steve and his people at Zawadski Homes was absolutely a joy. They do things with integrity and excellence and made building our house nothing but a positive and exciting experience. I’d highly recommend Zawadski Homes! Zawadski Homes has a wide range of home floor plans that can kick-start your design process. Zawadski Homes offers exclusive lots in several distinctive Twin Cities neighborhoods. Find the perfect place for your new home. We have a number of homes to show! Call us today to schedule a tour of some of our recent homes. 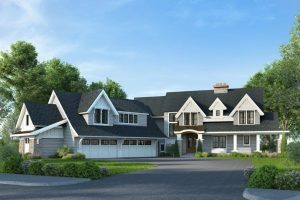 Zawadski is proud to have been selected as one of only 5 Dream Homes in the 2018 Spring Parade of Homes. Our lake cottage makes a grand statement. We look forward to sharing this creation with you.